Thanks to its added fuel efficiency, manoeuvrability and sleeker looks over a full-sized SUV, the crossover has become increasingly popular over the past few years. 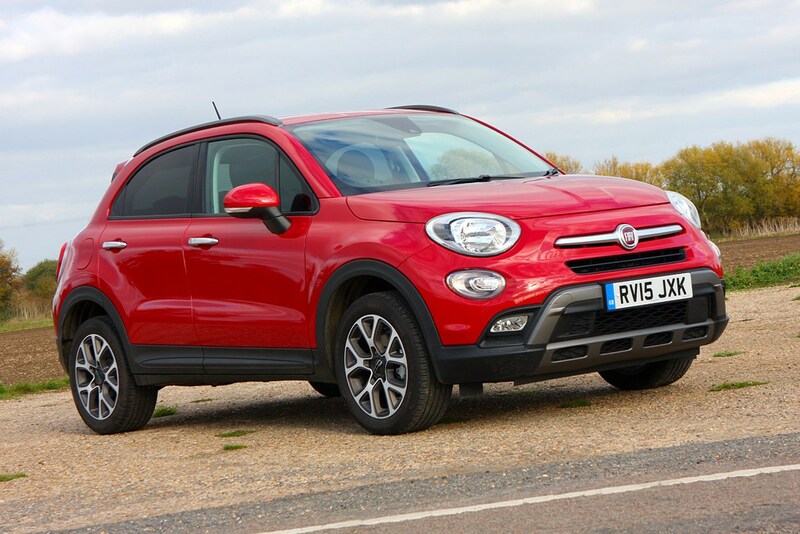 If you like the chunky looks and never intend to stray too far off-road, each of these best crossover cars can be had for the same price as a conventional hatchback. 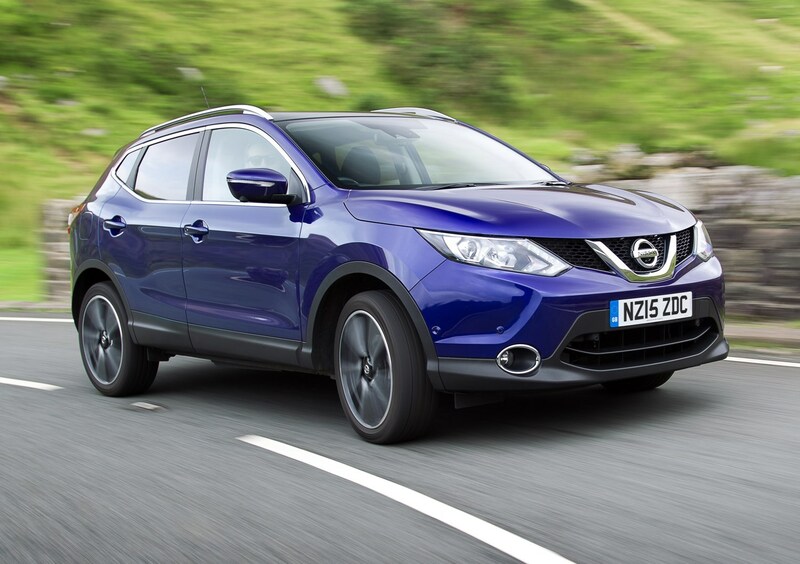 If you’re looking to buy a used crossover car and have a budget of about £10,000, these cars come with sharper looks and a raised seating position included in the package. Find out how to finance your purchase and use Parkers' free valuation tool to find out how much your current car is worth. The CX-3 is one of the best-packaged compact SUVs on sale, with its chunky styling and practical cabin all dressed with eye-catching styling. With smaller dimensions than most it doesn’t feel the largest crossover inside, but it does feel larger than the Nissan Juke with no shortage of headroom and adequate shoulder space. It’s well-equipped with alloy wheels, all-round electric windows and air-conditioning, while being cheap to run too. It only just inches over our £10k budget. We’re big fans of the way the CX-3 drives with its impressive body control and high levels of grip. The lower-powered petrol with two-wheel drive is our favourite, thanks to its ample performance and smooth power delivery. We’d recommend choosing one of the SE or SE-L models for the smoother ride on 16-inch alloy wheels. The second-generation Ford Kuga is based on the same platform as the Focus, with engaging handling and lots of useable everyday technology. It's much better suited to road driving than tackling rough tracks, though. The handling is so good that the Kuga goes straight to the top of the class in that sense. The chunky looks of its predecessor may have gone, but you do get lots of interior space, high safety standards and a well-built interior. 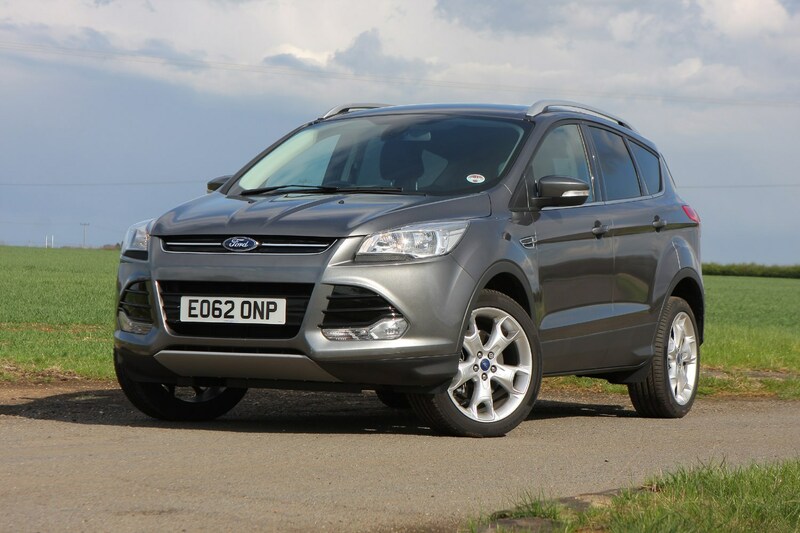 Crammed with kit, standard equipment includes Ford’s Quickclear heated front windscreen, cruise control, bi-xenon headlamps and air-conditioning. The lower-powered 138bhp 2.0-litre TDCi is our pick of the engines; it’s refined, the most economical and comes with a good spread of power. Try and seek out one fitted with the City Pack to include front and rear parking sensors for maximum manoeuverability. The original Nissan Qashqai was one of the first cars to popularise the crossover genre. Unlike its predecessor though, this current model arrived to great acclaim in 2014 as a five-seater only. However with added technology, sharper looks, more efficient engines and better quality throughout, this is a worthy compromise for most. As before, not all models are four-wheel drive, but that’s not a bad thing as the increase in efficiency and economy from the front-wheel drive models make for lower running costs. On the road the Qashqai performs very well despite feeling bulky. It’s very easy to drive with safe, assured handling, and an impressive lack of engine noise at motorway speeds. Fuel economy and CO2 emissions are attractive across the range, with even the largest petrol engine averaging a claimed 50mpg with CO2 emissions of 132g/km. 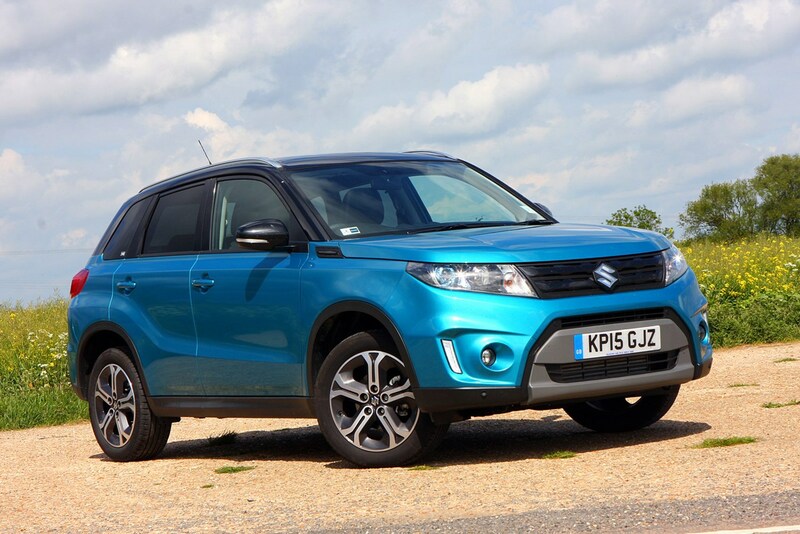 The Suzuki Vitara fathered the SUV crossover craze when it launched back in 1988. Nearly 3 million examples have been produced worldwide since then, with Suzuki hoping its 4x4 reputation, value-led specification and heritage will help conquer the growing number of rivals. The torquey diesel is the engine of choice if you don’t require an automatic, and there is a choice of front- or four-wheel drive. Drivers can toggle between Auto, Sport, Snow and Lock modes on the move. With a range of personalisation options available, you should be able to find one that stands out from the crowd. 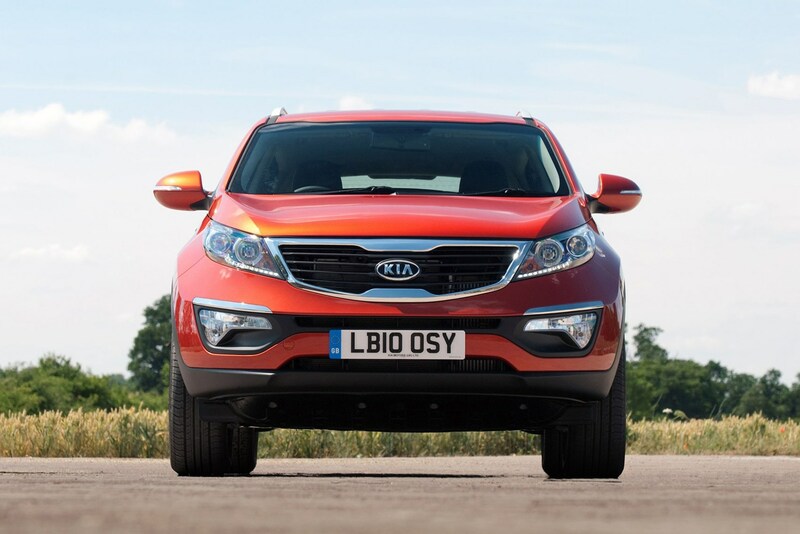 With generous kit levels, acres of space and a decent choice of engines, this third-generation Kia Sportage is raising the bar even higher in the crossover sector. All models have air-conditioning, all-round electric windows, rain-sensing wipers, cruise control and Bluetooth. The choice of three diesel engines have plenty of low-down punch, but become quite rowdy and coarse when overtaking or tackling steeper inclines. The distinctive looks may not be to everyone’s taste, but the ix35 represents a huge leap forward for Hyundai in terms of interior quality, exterior design and refinement. Despite the off-roader appearance, most models are two-wheel drive, helping it to lead the way in economy and emissions too. Its surprisingly compact dimensions also make it easy to park. Regardless of trim level, all models are well equipped with each ix35 coming with alloy wheels, parking sensors, Bluetooth, air-conditioning and a USB connection. 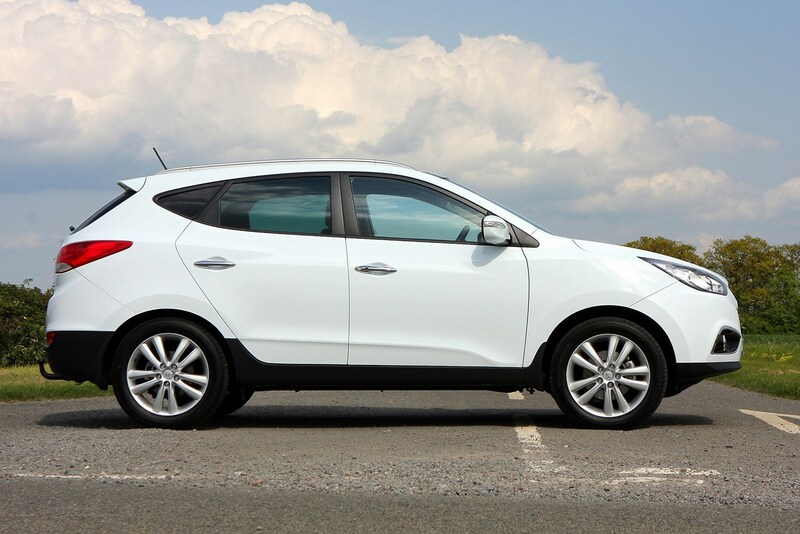 There is a downside though, as the Hyundai comes with a firm ride that transmits many lumps and bumps from the road’s surface, so it’s definitely worth a test drive. Small on the outside but with a spacious cabin inside, the rugged-looking 500X adds to the successful 500 range, offering itself in two flavours: one for young inner-city buyers valuing style and image above anything else, and one with genuine off-road capability for those with outdoor lifestyles. Whichever you opt for, there are 12 body colours and eight different alloy wheel designs. Front-wheel drive models will benefit from small cost savings with lower fuel consumption and CO2 emissions, while all models come with alloy wheels, air-conditioning and cruise control. 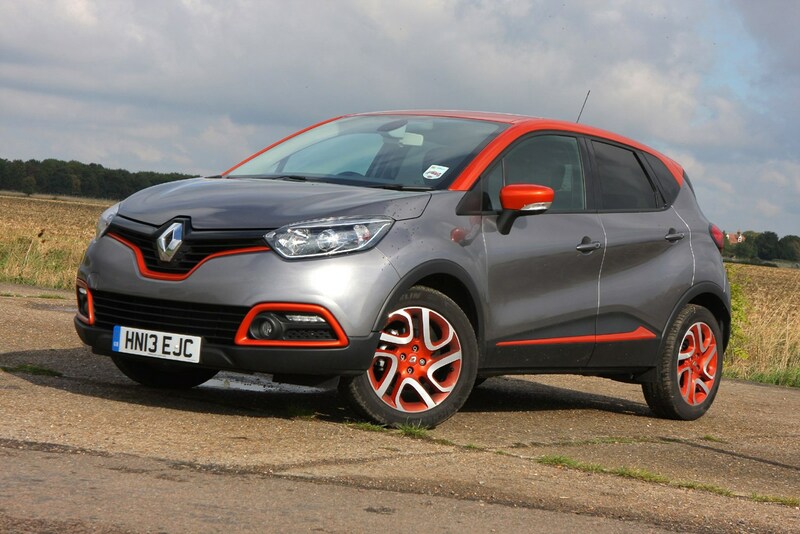 The Captur is Renault’s first attempt at a small crossover, combining the spacious elements of a people carrier with the looks of a 4x4. Think of it as a Renault Clio on stilts and you’re not far off. Reinforcing this is not a fully blown off-roader, the Captur is only available with front-wheel drive and is powered by a range of economical, small-capacity engines. Available with two- or four-wheel drive, the Duster is an affordable crossover with plenty of kit as standard and a drive set up for comfort. 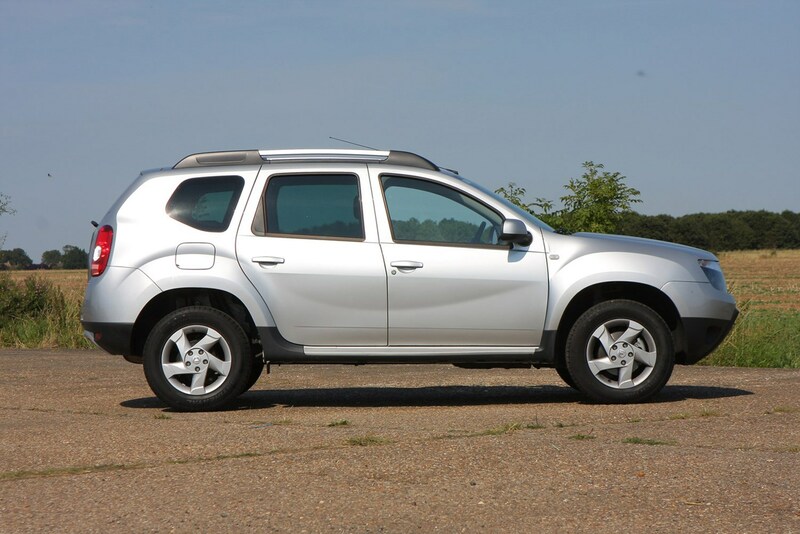 One of the main selling points of the Duster is the cheap list price from new, which means you can pick a much younger, used example here in comparison with the others featured in this shortlist for the equivalent price. Its practicality is better than the Nissan Qashqai and Hyundai ix35 too, with more load space than both with the seats folded. 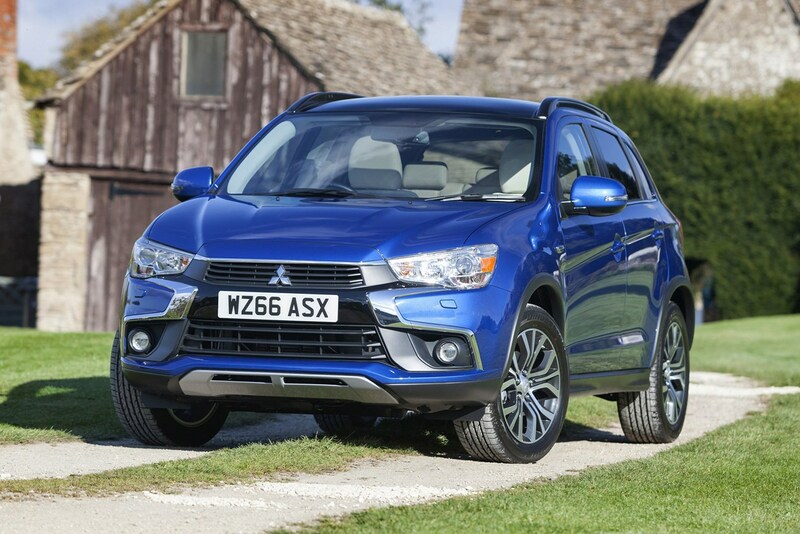 The Mitsubishi ASX has often been overlooked in the crossover market but this translates into a great second-hand buy with lower prices. We prefer the diesel engines thanks to their broad spread of power, and their availability with front- or four-wheel drive. While the ASX may not be the last word in refinement, its running costs are competitive. There’s a generous amount of kit with plenty of space for four adults but it’s a shame the interior is drab. At least all models come with alloy wheels, all-round electric windows and air-conditioning. The ASX is surprisingly rewarding to drive too, feeling quite nimble around town and competent as a cruiser on motorways. Look for signs of wear and tear on the exterior. With less ground clearance compared with a typical SUV, scuff marks could indicate signs of use in tougher environments. Thanks to the smaller dimensions, engine capacity and typically two-wheel drive configuration, there will be a compromise in towing capacity. 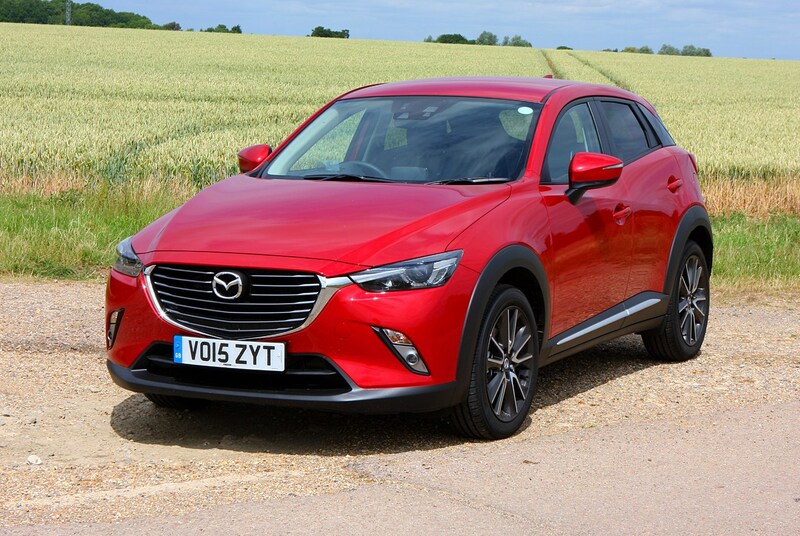 A Mazda CX-3 has a tow limit of 1,200kg, while the slightly larger Range Rover Evoque can tow between 1,500kg and 1,800kg. A diesel engine would provide a more relaxed drive too if this is the case. Demand for large, sporty-looking SUVs has grown over the past decade and this has resulted in manufacturers offering models with bodykits, larger wheels and stiffer suspension. While some result in marginally improved handling characteristics, they result in a negative effect on ride quality. Those designed with a sloping roof can also impede on rear passenger headroom. Looking for a small and economical 4x4?